ABOMINATION: After Prof. Okafor's murder-suicide, his Onitsha folks wrestle with burial burdens of his killing Jamaican-born wife, self. ABOMINATION: After Prof. Okafor’s murder-suicide, his Onitsha folks wrestle with burial burdens of his killing Jamaican-born wife, self. By CHIDO NWANGWU, Founder & Publisher of USAfrica, USAfricaonline.com, Nigeria360 e-group, IgboEvents e-group and CLASSmagazine, Houston. The contrasts of the small American towns of Reading and Kutztown in the state of Pennsylvania and the sensitivities of the commercial but culturally-rich Onitsha town of south eastern Nigeria hold divergent approaches to handling and disposing of the August 17, 2010 brutal murder-suicide unleashed by the 64-years old Onitsha-born Prof. Chukwudubem (Dubem) Agha Okafor. Onitsha’s indigenous population is a city of sophisticates, joyful and educated, westernized-yet tradition-bound people. Hence, the massively unusual brutal acts of one of their own (Prof. Okafor’s) shooting his wife, Cheryl V Okafor, 37, and shortly after turning the gun on himself inside his relative’s house in the 300 block of Pear Street, (in Reading) continue to reverberate across the two continents of the U.S and Africa. The repeated, summary phrase from the Onitsha indigenes at home and abroad whom I spoke with is: abomination! The question, then remained, what do they do next, back home? 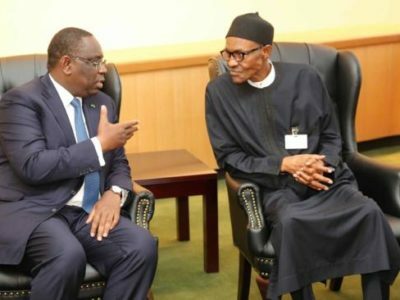 Refuse him burial at home in Onitsha? Or give him a less than significant, less than standard transition for an Onitsha son and scholar of Prof. Okafor’s pre-murder-suicide status? But the question I asked about how the Onitsha diaspora will respond to the crisis was answered by 40-something year-old Onitsha nurse in New York who told USAfricaonline.com that “we are split into three or more groups, but we are watching to see who will step up to this issue to help the families heal….” It does not seem as easy, given the complications and sensitive aspects of the murder-suicide. On Saturday August 21, 2010 at the the New Hope Baptist Church in Reading, Pennsylvania, the Caribbean communities, Nigerian friends and church family of Cheryl’s had very immediate resolution to bury their repeatedly traumatized daughter around the era she has lived for decades. Amidst all those, Bell noted that “I am so glad that I stand here to preach about someone who knew God; she is not dead but her spirit has left her body to be with the Lord…” That body was buried, amidst tears and pain and agony, at the Laurel Dale Cemetery in Reading. The sermon and services were witnessed by many, particularly Cheryl’s heart-broken 4 children, namely: Calvin Philmore (born with her first husband, Alfred Simon Philmore, who in 1998 shot her boyfriend Osmond Dacosta Walker to death in the same city of Reading; Alfred is still serving jail time in a state prison in Fayette County, Pennsylvania). The second child is Jahil Little. The 3rd and 4th children are those she had with Prof. Oakfor: Christian and Nkechi. While the immediate family of the Okafors inside Nigeria and across the east coast of the United States sensitively navigate their limited and sad options, Cheryl’s folks have wrapped up the restful transition for a woman whose life was punctuated, at almost every turn and twist, by violence, violence and then, her violent murder…. •Dr. 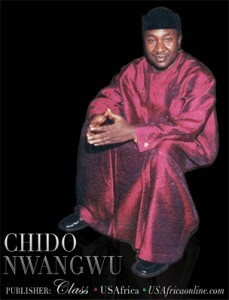 Chido Nwangwu, honored by the Washington-D. C.based National Immigration Forum for utilizing multimedia to fight authoritarianism and foster freedom of expression, is the Founder & Publisher of first African-owned, U.S-based professional newspaper published on the internet USAfricaonline.com, The Black Business Journal, CLASSmagazine, PhotoWorks.TV, AchebeBooks.com, USAfrica.TV and several blogs. 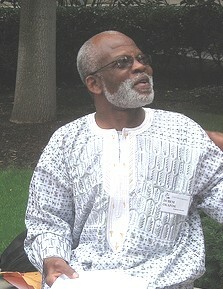 He served on the board of the oldest civil rights organization in the U.S., the NAACP Houston; publicity committee of the Holocaust Museum, Houston; recipient of an honorary Doctor of Humanities degree in May 2009; served on Houston former Mayor Lee Brown’s international business advisory board (Africa), and has appeared as an analyst on CNN, VOA, SABC, etc. CNN International profiles USAfrica’s Founder Chido Nwangwu. 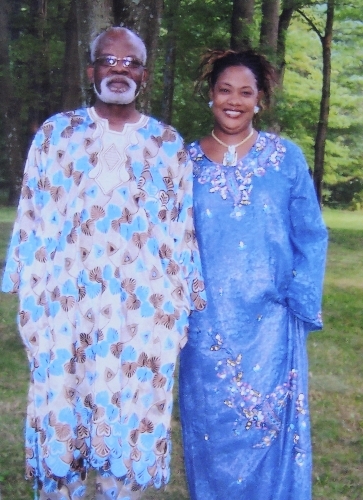 TRAGEDY: Prof. Okafor shoots his wife, self dead in murder-suicide in U.S. They both are gone. Period. Would the world learn? Thts the question. The reporter didnt do a thorough job. No reason(s) deduzd. Ws it bcos Cheryl's a bornagain Xtian, fighter of injustice (as reported by her pastor)? Or was she quarrelsome? One wld tend write off my questions, but they will help others obviate circumstances that led to these colossal losses. A believer! A prof! Spiritual loss to Christ and human capital loss. Am apalled. Pls the Chido USAfrica mag should unearth what transpired so that both believers and unbelievers will craft some lessons out of this gruesomeness. Sad but lets face the reality,both of them are dead but the body of PROF. is under arrest so this is more serious situation than thinking of a beffiting burial. The truth is that it really makes no difference where a person is buried. what counts is the person’s legacy and in this case he will forever be remembered as a murderer. ‎@ Ulumma, I appreciate the info. May God give the family strength to stay strong and do what need to be done. ‎@ Izoduwa, if happens on d soil, my grandfather says dat such bodies are buried or thrown in evil forest or any of such locations. but den he said such burials are no longer in existence…. he said “the white man came and took our customs and tradions”, so im suggesting dat d family shld decide wat 2 do.. simple!! One good thing among others in Igbo culture. The man want to play GOD, keep his corpse out of Nigeria. Nothing justify taking someones life not to talk of yours. Only God creates life and take it at will. Whatever the case may be,its a foul to take a life. My kudos to the Igbo elders refusing elaborate or no burial in Igbo land. This is a very sad time for both families and my heart goes out them. keeping in mind, ‘Tradition is Tradition”What would have happen if the abomination were committed in Igbo land? where would the burial take place? This situation should be treated same. Suicide is an abomination according 2 Igbo tradition. so if the community decides they wont bury him @ home, d family should decide where & how to bury him, no man is an island onto himself so i dnt think its not a gud idea disobeying the tradition. i know civilization has erased many customs & traditions, cases like dis are very sensitive, esp now dat death is involved.!!! My sincere condolence to both families. The circumstances of the tragedies are unknown to us and should make no difference as we mourn them. Let’s bury the professor wherever the family chooses and let God be the judge. Yes an abomination it is,still the man needs to be buried.I am not sure that I can think of any culture where it is accepted to kill your spouse and yourself.From what I read the wife has been burried. Please burry the professor as soon as possible. So sad! They should bury him in the US. His siblings should not bother bringing his remains home; what’s the need of going through tension and argument with the elders because of burial? His essence is gone and every other ceremony is for those he left behind. He has finished his race, he contributed his own quota and that’s all. A dead cannot praise God. Wherever he will buried at makes no difference to him. @Nkiru is right it is an abomination to commit murder or suicide . Frankly speaking,committing suicide is regarded as a taboo in igbo-land. His siblings should not bother bringing his remains home; what's the need of going through tension and argument with the elders because of burial? His essence is gone and every other ceremony is for those he left behind. He has finished his race, he contributed his own quota and that's all. This is a very sad time for both families and my heart goes out them. keeping in mind, 'Tradition is Tradition"What would have happen if the abomination were committed in Igbo land? where would the burial take place? This situation should be treated same. ‎@ Izoduwa, if happens on d soil, my grandfather says dat such bodies are buried or thrown in evil forest or any of such locations. but den he said such burials are no longer in existence…. he said "the white man came and took our customs and tradions", so im suggesting dat d family shld decide wat 2 do.. simple! !